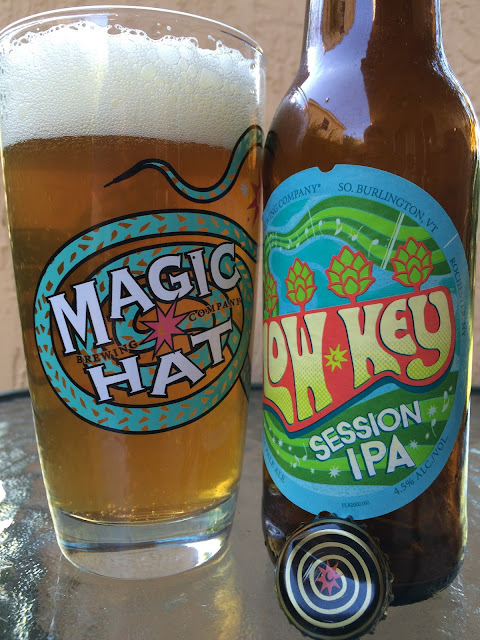 Magic Hat has a new session IPA: Low Key Session IPA! The slogan for the beer is "Hops Now in Session!" Citrus aroma, not particularly strong. Bright lemony and zesty lemon flavors show up on cue, however! A sweet toasted malt balance answers. Light body with an astringent and dry finish. Simple yet refreshing. Flavors linger for a long time!